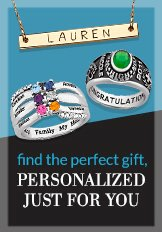 Personalized just for her with the birthstones of those she loves. Choose up to 7 Austrian crystal birthstones. Plated in pure Platinum with a high polished finish. Clip style. Hearts are 7/16" tall and 1/2" wide.